As you may know I went to Madrid for a few days last week. Today's I'd like to tell you what I did there! The weather was awful but that didn't stop us from going out and visiting the city. I didn't take pictures of everything I did, but I tried to capture some moments. Get ready for a long post! On Thursday I arrived in the afternoon and we went to the city centre to explore. 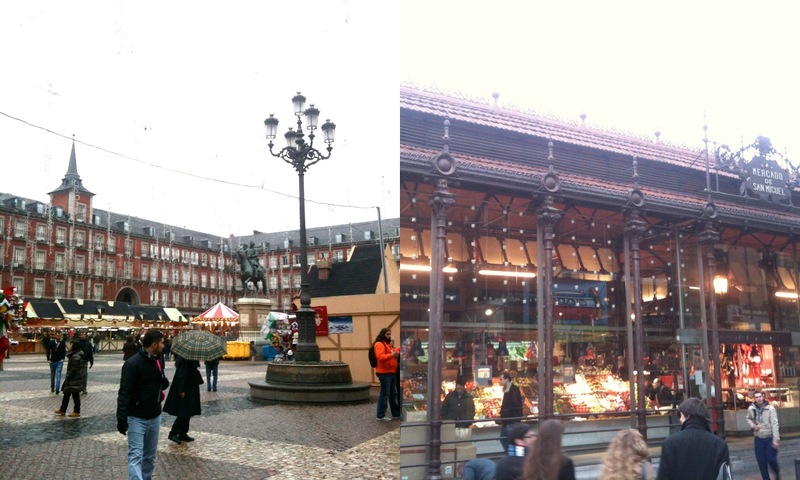 We first walked to the Plaza Mayor, from the metro station Gran Via. It would have been nicer with better weather, and I think that the (kind of sad) christmas market didn't do the Plaza any justice. It probably looks much better in the middle of summer! A also showed me a really cool indoor market called Mercado de San Miguel, which is close to the Plaza Mayor. 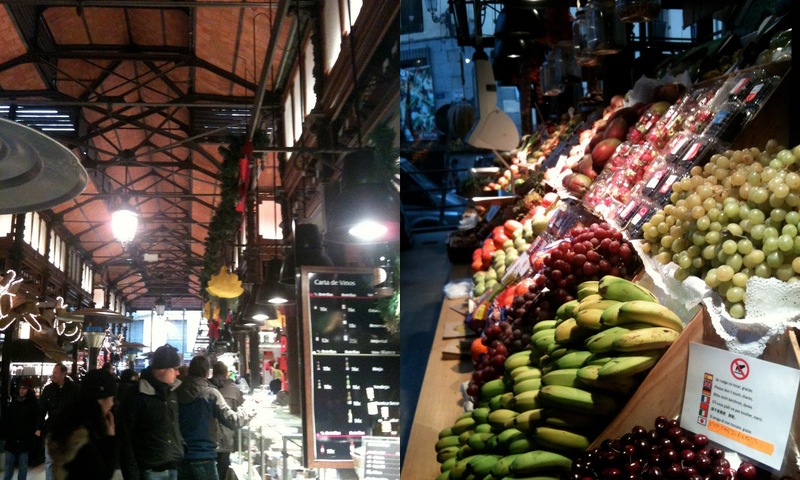 I really like this upscale market; it was perfectly organized and all the food looked very appealing. A good place for a drink and some tapas! On Friday, we went to La Bola for lunch, where we tried a typical Madrilenian dish. You can read all about it in my previous post. Next, we went to the Thyssen-Bornemisza Museum of Art. A few years ago, I spent one afternoon in Madrid and all I saw was this museum. I liked it then, so I wanted to see it again. There was an amazing exhibition on Cartier jewelry which was very nice and impressive. I believe it's there until mid-January. We also saw the Thyssen-Bornemisza collection which was equally impressive. Needless to say, we spent a good few hours inside the museum.. Definitely worth the visit. I'm almost ashamed to say that I didn't visit the Prado museum but I'll hopefully get to see it next time. After that we walked around a bit and saw the Banco de España and the Metropolis building. On the last day, the weather finally cleared up so we headed to the park, El Retiro. Despite the long line of people trying to sell fake handbags along the water, it was a lovely park with funny birds (green parrots) and a cool glass building called the Crystal Palace. Wouldn't it be cool to throw a big party in there? The best thing about the park was this guy. He was making the biggest soap bubbles I have ever seen and it looked so cool we stood there for a good 10 minutes watching him make bubbles. 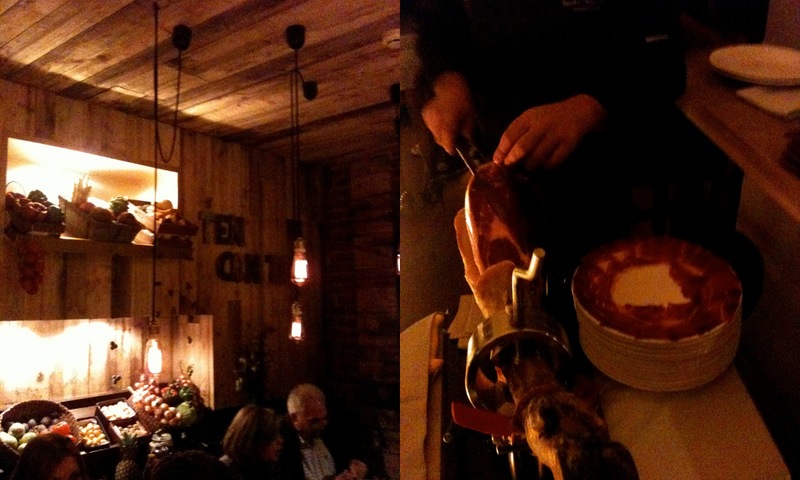 In the evening, we joined some Spanish friends for tapas: jamón, croquetas, pan con tomate and pimientos de Padrón. I love tapas! Our friends recommended a place for drinks, since A and I ate so many tapas we didn't want any dinner. 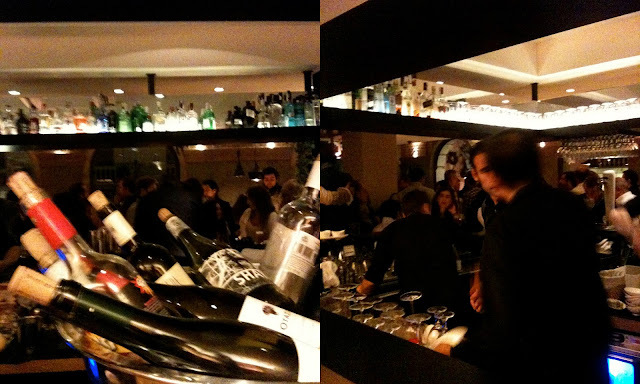 It's called Tenconten, located in Calle de Ayala, which was a really cool place. The combination of the cocktails, the music, the people and the whole the atmosphere made it a place I'd love to go back to. I wish there was such an easy-going bar like this in London. 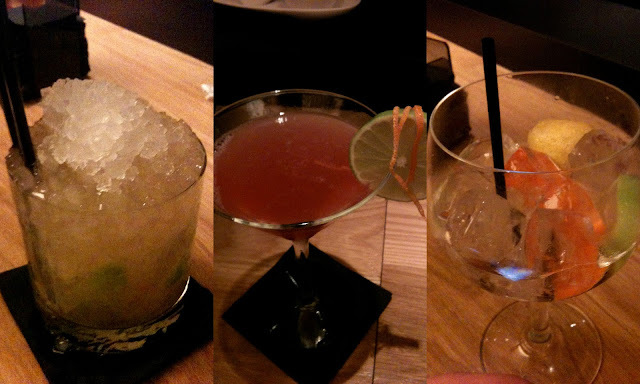 I ordered a cosmopolitan and A had a gin & tonic, which are very popular at Tenconten. For a good reason because the gin & tonic was great, even though I usually don't like it. We sat there for a while, talking, drinking and watching the busy crowd. Such a lovely evening! The next day I had one last bag of roasted chestnuts before heading off to the airport. Another great thing about Madrid: roasted chestnuts on every street corner. Yum. Madrid, I hope to see more of you very soon, Hasta luego!